Gaby and I completed The Transcontinental 2014 and totally surprised not only ourselves, but seemingly the whole of the rest of the field and everyone we know by finishing in 12days 10hours securing me 18th Place overall and Gabs 2nd Female. It was the hardest bike race I have ever done but without doubt one of the most memorable. We are both totally blown away by the support and encouragement that we have received from friends, family, acquaintance and strangers over the past 2 weeks. It has been a truly unforgettable experience and there are many stories and pictures to come out of it over the next few weeks once our hands and fingers have some more feeling back in them. 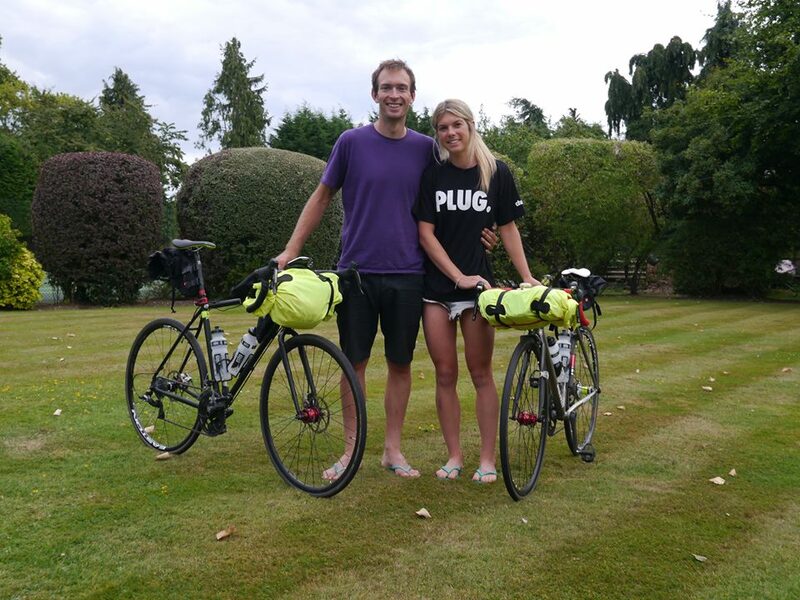 Charge Bikes, who have been supporting us through this whole adventure have been fantastic and we were so happy to have been working with them and using their bikes. A full write up of kit and bikes will follow, but surely the biggest praise is that they made it there. Apart from 2 punctures and a worn out bottom bracket the bikes were totally faultless! What more can you ask for? 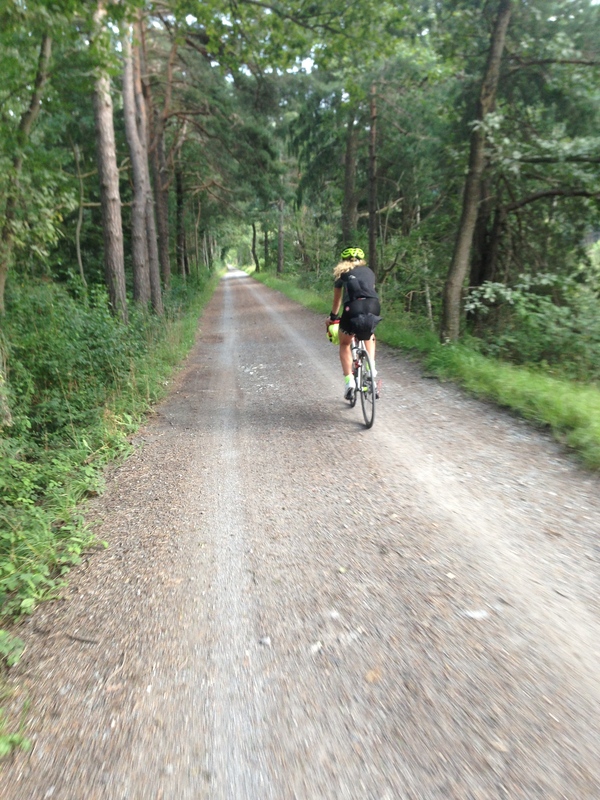 We have also just uploaded around 90% of the race onto Strava. The Garmins would occasionally run out of batteries and would be switched off so a few chunks are missing. We find it a useful training tool to see how much climbing, we did, pacing and hours in the saddle and are then able to analyse which were strong days and which could have been improved. You can see the rides HERE. 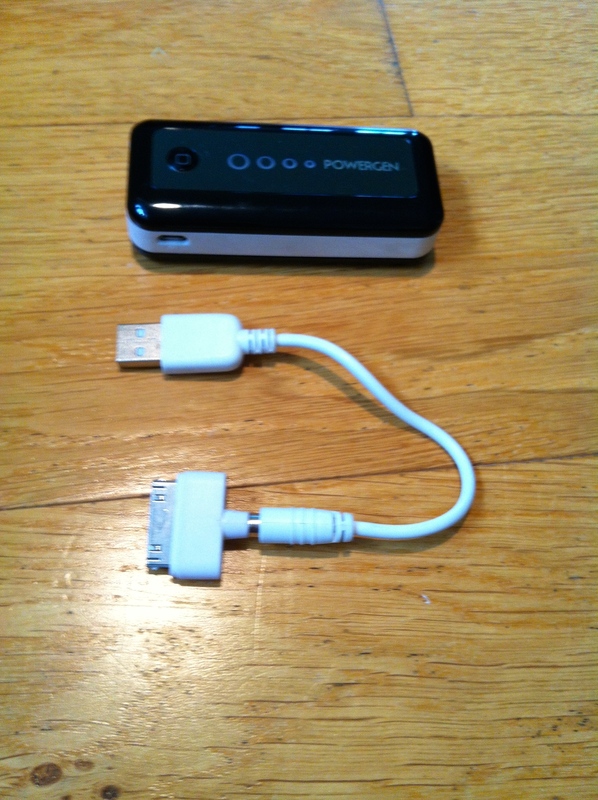 I am using a steel Plug 5 from Charge Bikes for Transcon. I love the disc brake features on it and the solid feeling of steel and the extra clearance it offers for larger tyres. Quite simply a bike, a very good bike. Hard to say what it is for, apart from riding. There is always a reason to take this out and one that gets used by far the most. Great fun and hugely reliable and it will put a smile on your face what ever the weather is doing! 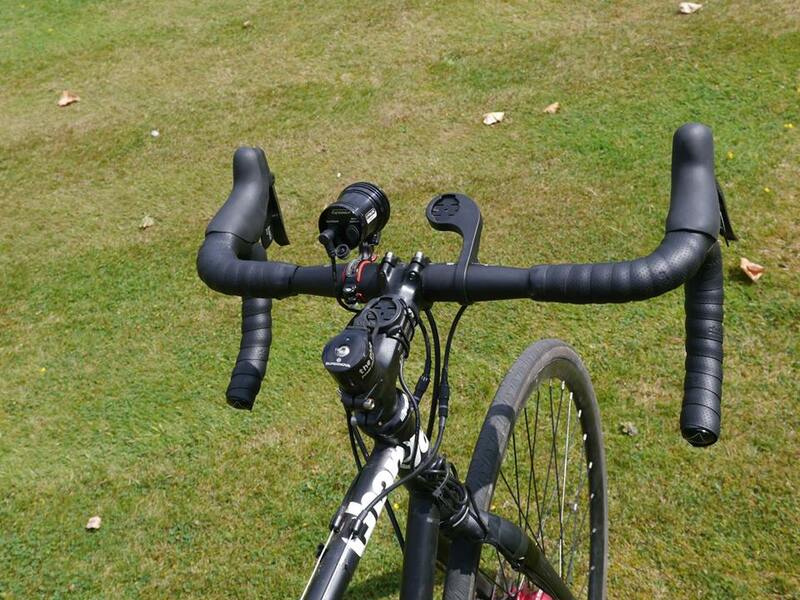 For me, black is the only colour to have a bike in…maybe that or the raw colour of steel, titanium or aluminium. 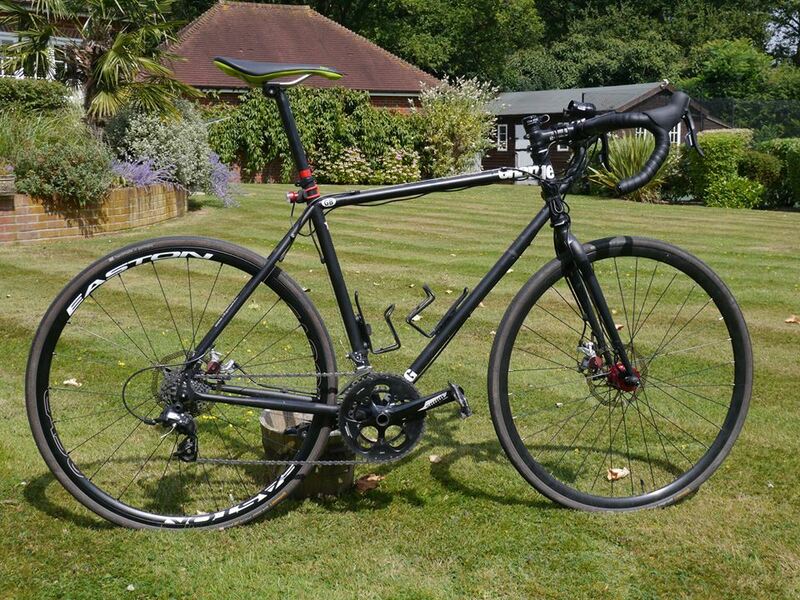 I don’t like flashy bikes in loads of colours…let the quality, component choice and riding do the talking. 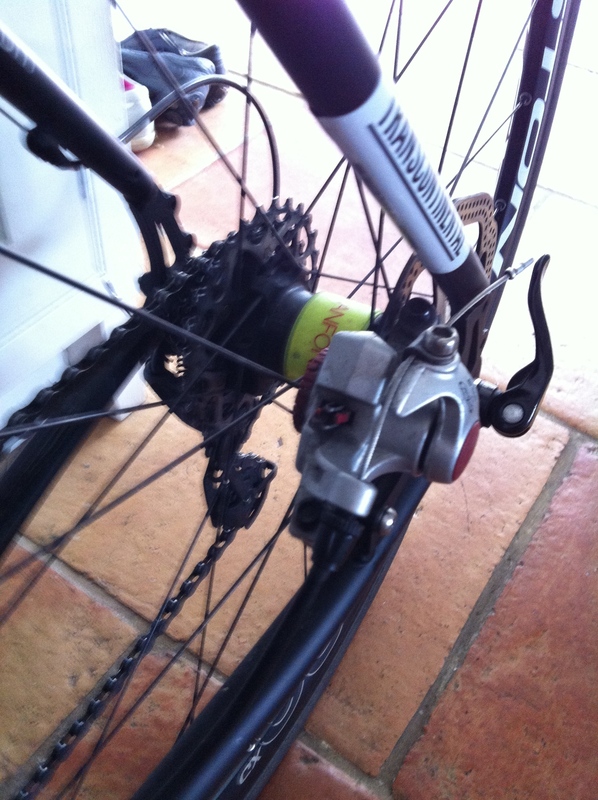 SRAM provide all the gears and brakes for this one. 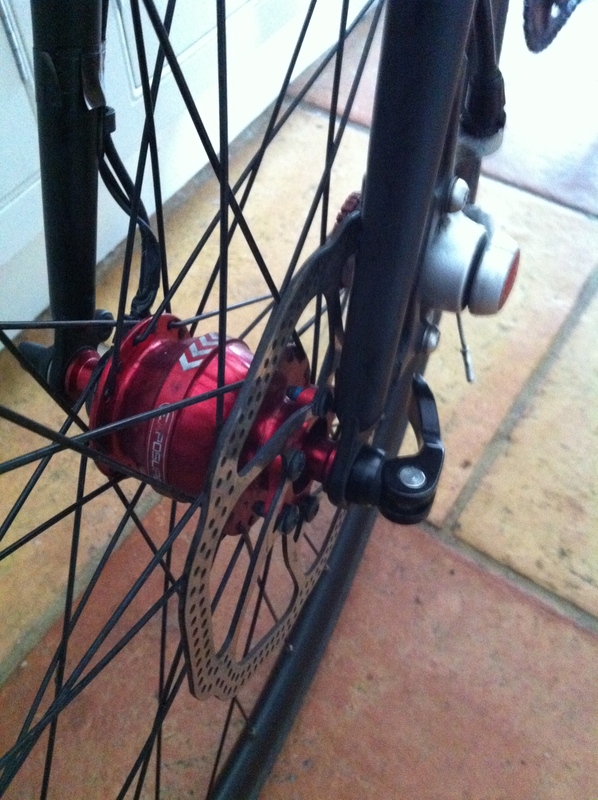 I am running an Exposure Revo Dynamo hub set up with redeye rear light. It is fantastic and I cannot recommend it enough to anyone doing large amounts of night riding. Totally dependable power. The back wheel is an Easton EA90 Cyclocross wheel. Strong, light and with discs. 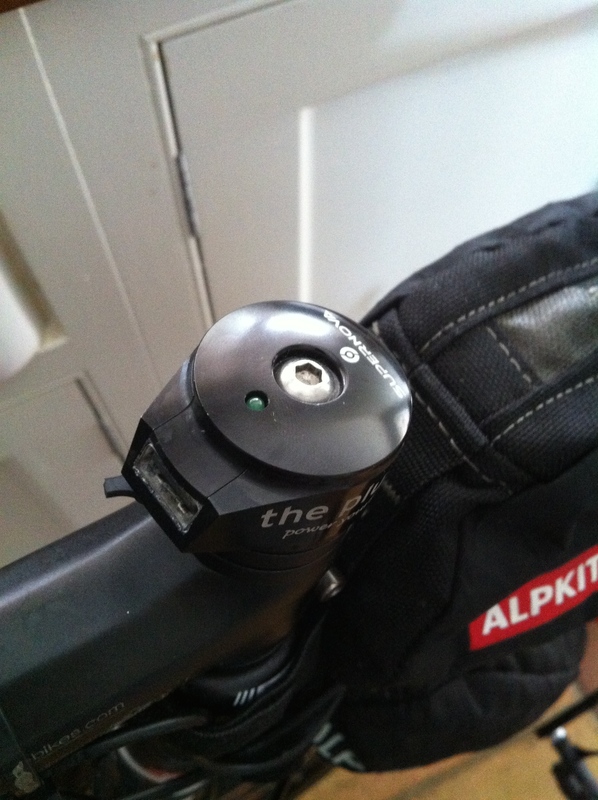 Along with that, I have wired a supernova PLUG III into the headtube, allowing me to charge iPhones and Garmins while rolling along. 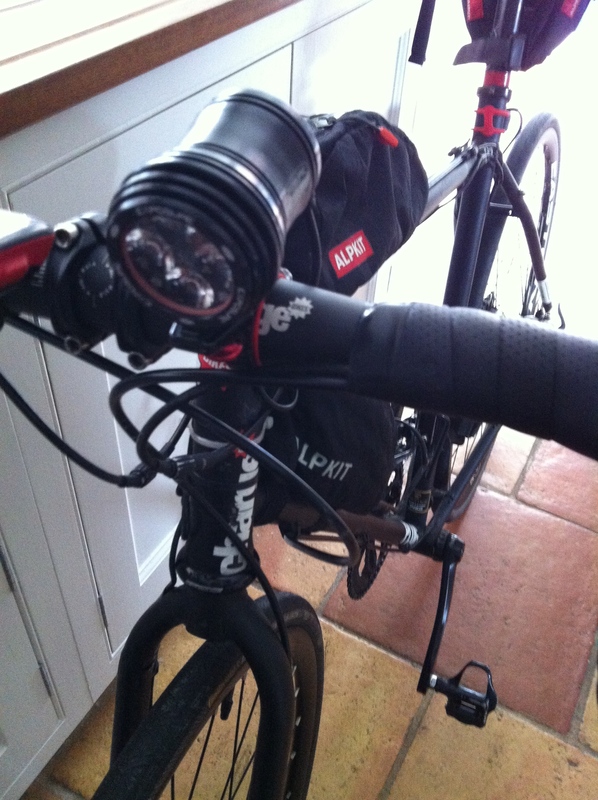 Alpkit Bags all over. 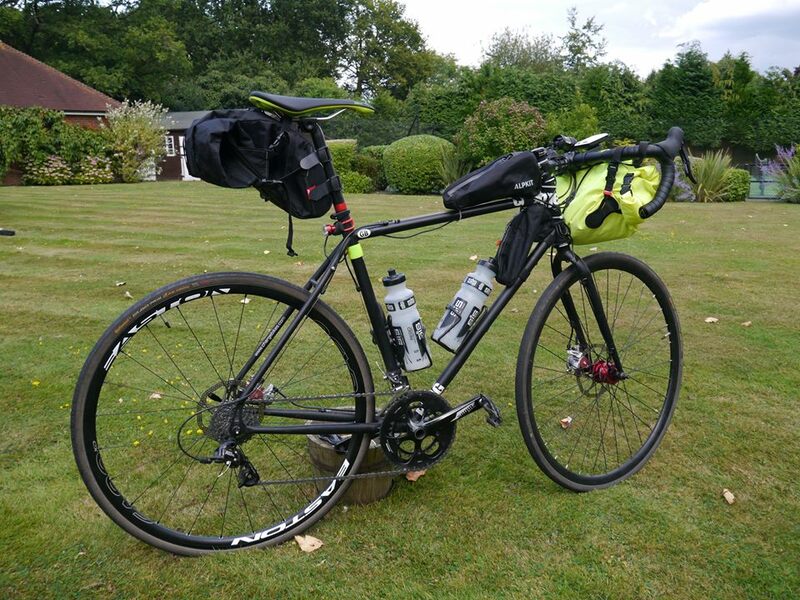 Dry Bag at the front with all the sleeping kit in, Larger seatbag at the rear with clothes in and frame bags with spares, tools, snacks and essentials in that will need to be accessed more regularly. We are both very excited to start this adventure and would really like to thank everyone that has helped us so much over the last 8 months prepare for this. All our riding and training partners, people giving route, prep and nutrition.